Cuenta en su Myspace este duo de Vancouver que les gustaría ser un cruce entre Gun's and Roses, The Stooges, The Sonics y The Rolling Stones, algo que sin embargo no han conseguido. Lo que sí han logrado es encandilar a la crítica con su mezcla de lo-fi, garage y punk, muy en la línea de las propuestas de bandas como No Age o Surf City. Su disco de debut, "Post-Nothing", sólo esta editado en vinilo, pero sus 8 canciones pueden conseguirse fácilmente en la blogosfera. This Vancouver duo say on their Myspace that they wish they where a cross between Guns's and Roses, The Stooges, The Sonics and The Rolling Stones, something they have not achieved. 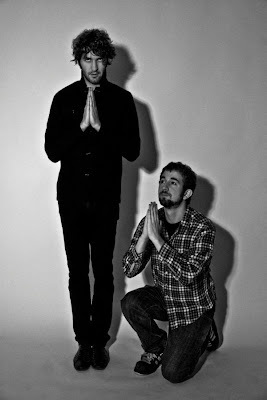 What they do have achieved is some critical acclaim from the indie press, with their mix of lo-fi, punk and garage featured on their debut album, "Post- Nothing". The record is only available in vinyl edition, but the 8 songs on it can be found free in many blogs. 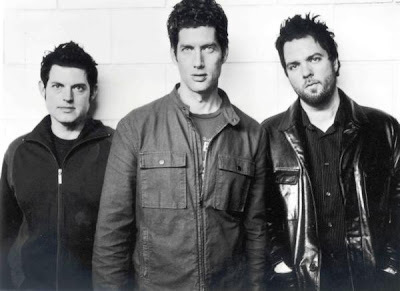 Con una larga carrera a sus espaldas y una discografía con canciones realmente brillantes , los norteamericanos Better Than Ezra vuelven con su séptimo trabajo, "Paper Empire". "Absolutely Still" es el primer single. With a long career on their backs and a collection of really great songs, Better Than Ezra are back with their seventh record, "Paper Empire". "Absolutely Still" is the first single. Fantasies es el cuarto trabajo de estudio de los canadienses Metric, banda liderada por una de las mujeres más atractivas y carismáticas del actual panorama musical, Emily Haines, quien además edita sus propios trabajos en solitario y forma parte del colectivo Broken Social Scene. En este widget podeís escuchar todas las canciones del disco y ver el vídeo del single "Gimme Sympathy", entre otros. Fantasies is the fourth record from Canada's Metric, a band fronted by one of the most atractive and charismatic women in the present music scene, Emily Haines, who also has her solo works and is part of Broken Social Scene's collective. In this player you can listen to all Fantasies tracks, as well as watch single's "Gimme Synpathy" video, among many others. Great Northern, la banda de Solon Bichler y Rachel Stolte edita el próximo día 28 su segundo trabajo, "Remind Me Where The Light Is" un disco repleto de excelentes canciones que confirman las buenas formas apuntadas en su debut. 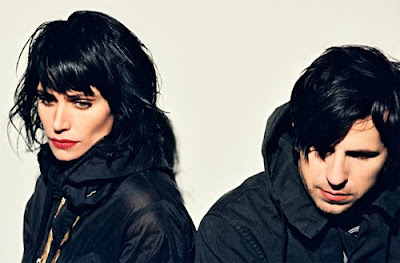 "Houses" y "Story" son dos de los témas incluidos en el disco, el primero de ellos elegido como single. Solon Bichler's and Rachel Stolte's Great Northern, publish their second record on April 28, "Remind Me Where The Ligh Is", and is full of excellent pop-rock songs that confirm the talent shown on their debut. "Houses" and "Story" are two of the songs included on it, the former being the one chosen as first single. Después de recibir muy buenas críticas con su debut, editado por el sello de Drowned in Sound, los suecos Jeniferever publican la semana que viene su segundo largo, "Spring Tides". 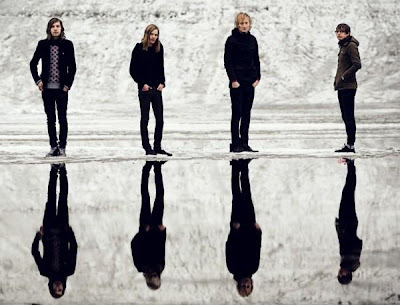 Trabajo en el que los de Upsala siguen con ese tono melancólico en canciones que se mueven entre el emo y el post-rock, incorporando en esta ocasión puntuales estallidos de ruido y distorsión. After receiving very good critics with their debut on Drowned in Sound Records, sweden Jeniferever publish their second long player, "Spring Tides", next week on Monotreme Records. A work in which they continue with melancolic landscapes that move between emo sensibility and post-rock, this time though incorporating more distortion and noise bursts. Desde Seattle llegan al blog Colonies, un cuarteto que busca en sus canciones el equilibrio entre la tormenta y la calma, alternando pasajes atmosféricos con otros en los que prima un potente sonido de guitarras y contundente percusión, todo ello sin dejar de lado la melodía. Su Ep "Sleep Patterns" se puede descargar de forma gratuita aquí. From Seattle arrive to the blog Colonies, four young guys that search in their music for the balance between the calm and the storm, switching between atmospheric parts an others with a powerfull guitar and drum sound, all of that accompained with a knack to write great melodies. 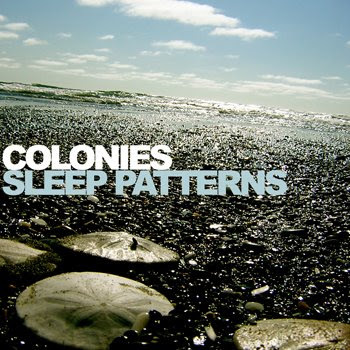 Their Ep "Sleep Patterns" can be downloaded for free here.